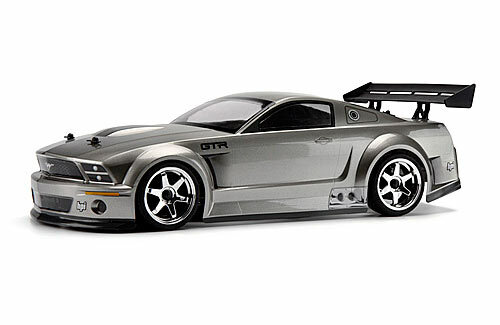 HPI Racing now offers a cool prepainted version of the hot Mustang GT-R body for the Sprint 2 Flux touring cars! The body comes expertly painted, pre-cut and decaled. It's ready to mount on your Sprint Flux touring car, a quick and easy way to completely transform the looks of the car. 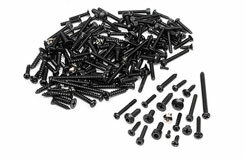 This body can also be used on 190mm and 200mm touring cars when used with the extensive assortment of HPI wheels. 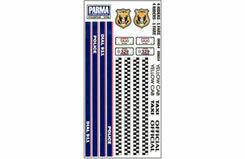 Parma 1/18 Buggy Bodyshell. Suitable for the RC18T & OT. An HPI Screw Set Type B. 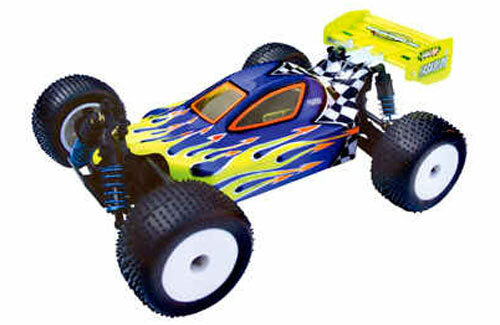 Suited to many models, however specifically aimed at the Trophy Buggy & Truggy. 1/10Touring Car Size 200mm/Use offset wheels for 190mm width chassis �NISSAN� and the names, logos, marks and designs of the NISSAN products are trademark and / or intellectual property rights of NISS. Fans of full-size drifting can now get the latest custom car creation in the form of the Hankook-sponsored Nissan 350Z body! 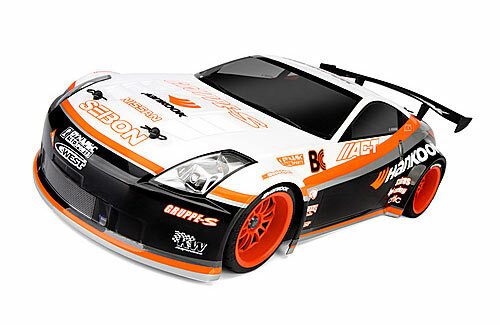 This 1/10th scale replica of the Gruppe-S/Dynamic Autosports Hankook Tire 350Z driven by Robbie Nishida for 2009 is only available from HPI! Included with the Nissan 350Z Hankook body are two pre-cut decal sheets that include stripes, window lines, headlights, grills, tail lights, official Nissan and Hankook logos and much more, providing your touring car with a realistically finished product. 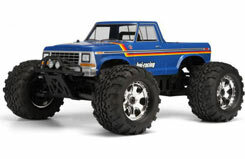 Each body comes with a molded nylon dual plane rear wing, as well as light buckets for the headlights and tail lights. 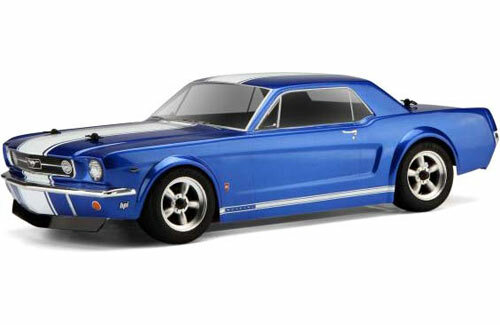 HPI Racing is proud to introduce a 200mm clear body shell replica of the legendary 1966 Ford Mustang GT Coupe! The Mustang is one of the most famous early American Trans-Am cars, and a huge following in drag racing circles as Ford produced a car that could do it all, making the Mustang an American cult classic! Our true-to-life 1/10th scale replica captures all of the details that make the 1966 Mustang GT Coupe a fan favorite. 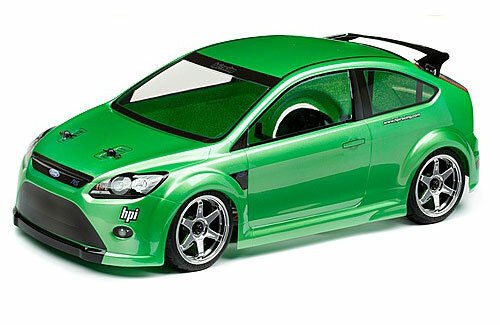 This HPI-factory body is designed to fit perfectly on 200mm touring cars. Add your own paint job and you're ready to race, cruise or sit in the garage ready for concours. This body is made from crystal clear polycarbonate material for those that prefer to add a personal touch with their own paint and graphics scheme. 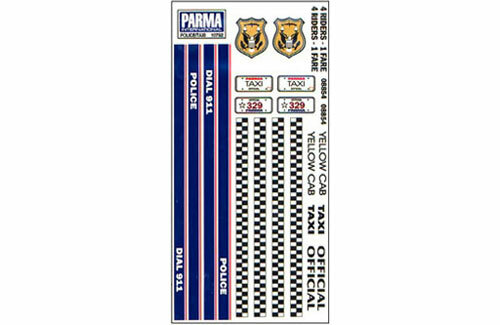 The convenient pre-cut vinyl decal sheet includes: photorealistic headlights, grill, tail lights, official logos, window frames, door handles and more... all die-cut to make applying the decals quick and easy. Overspray film and pre-cut vinyl window masks are included with each body. 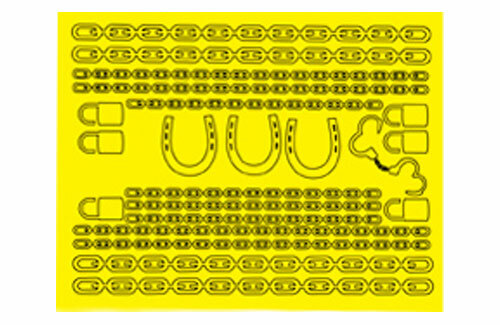 A decal instruction sheet is included for decal placement, and the body has dimple marks for body post drill locations. Ready to fit 200mm touring car chassis, the new Ford Focus RS body is the perfect way to own the road! The full-size Ford Focus RS is a true powerhouse: packing over 300hp into a front-wheel drive chassis, the RS is even more powerful than the highly feared Focus ST! Our 1/10 scale version shows off the aggressive styling that tells hot hatch owners to watch out, including the front splitter, side skirts and more that really set the RS version apart from a normal family Focus. This body is molded from super-tough, extra-thick, clear polycarbonate plastic for toughness and resilience in the roughest of conditions. All HPI bodies feature clear overspray film to keep paint and marks off the outside of the body, moulded markings for easy body post drilling, pre-cut vinyl window masks, true-to-life decals and a full set of official HPI logos! Outfit the awesome Ford F-150 SVT Raptor on your Savage monster truck! 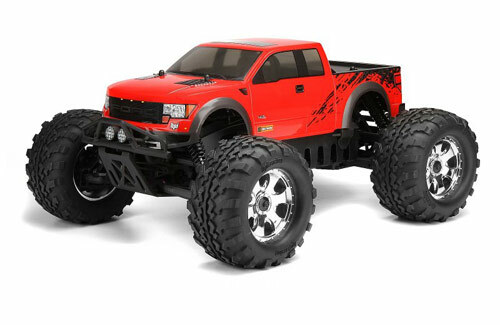 With the iconic �FORD' name across the updated front grille, extra-wide track, triple-bypass shocks, huge 6.2-liter V8 engine, custom graphics and many more unique features, the Ford F-150 SVT Raptor has taken the off-road community by storm, and now it's ready to rip your favourite bashing spot to shreds! All HPI bodies feature clear overspray film to keeppaint and marks off the outside of the body, moulded markings for easy bodypost drilling, pre-cut vinyl window masks, true-to-life decals and a full set of official HPI logos! This self-adhesive decal sheet is printed on clear stretchy vinyl, the clear material makes it easy to bend and stretch around uneven surfaces. 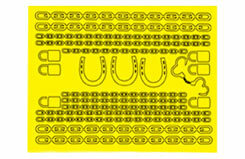 Each piece on the sheet is backed in white ink to cover painted surfaces for best results. They can be used on RC vehicles, model cars, bikes, skateboards, helmets, tool boxes or anywhere you like. Cut out each individual piece with a hobby knife or scissors, peel and stick.